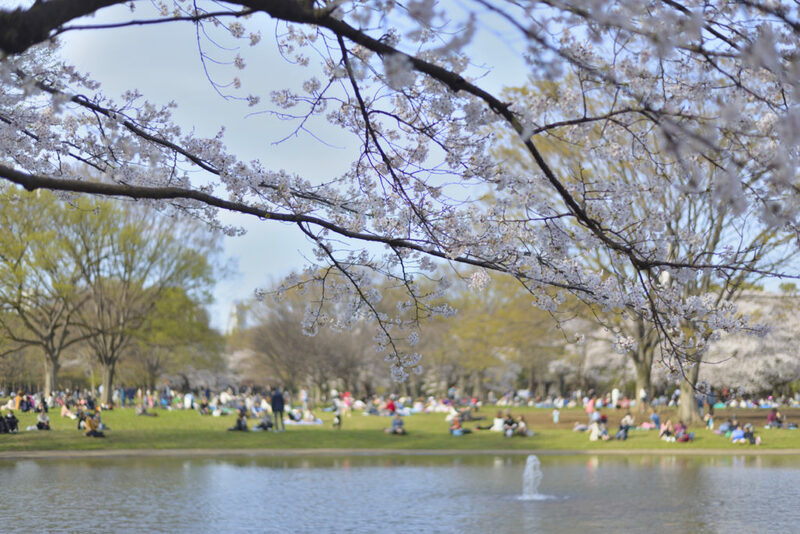 The temperatures are steadily rising, the winter coats are being traded for lighter jackets, and the buds on cherry trees will start to open in about a week from now on, meaning it will soon be time for our favorite Japanese tradition: hanami. Literally translated as “flower viewing,” the hanami cultural ritual is so much more than just watching the pretty flowers. 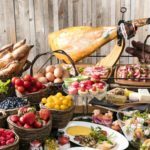 It’s an experience; a spiritual metaphor for the beautiful but fleeting nature of life; and above all, a chance to get outside and eat, drink and be merry under the cover of beautiful pink and white blossoms. 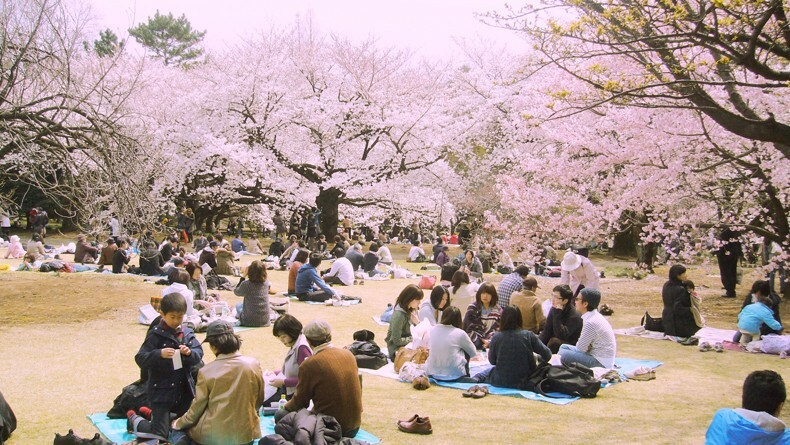 In the past, we told you about some of the top family-friendly hanami spots in Tokyo, but pretty much wherever you do it, hanami is an activity that appeals to people of all ages, which is one of the things that makes it so great. This year, the Tokyo sakura is expected to be in full bloom around March 29, so plan ahead and make your own sakura map along these stunning eight spots where you can see the blooms at their best. This river’s location in a hip residential neighborhood, coupled with the way the trees drape over the water, makes for a stunning walk. Get there from dusk onward to experience the yozakura (night time sakura viewing) lit up by pink and orange lanterns. With 800 trees spread along four kilometers of the river, there are plenty of beautiful blossoms to enjoy viewing under the stars. This is also where the lively Nakameguro Sakura Festival (April 7), a day dedicated to celebrating spring through live music performances and food stalls, is held. For more information on what you’ll encounter along the river, see this article. 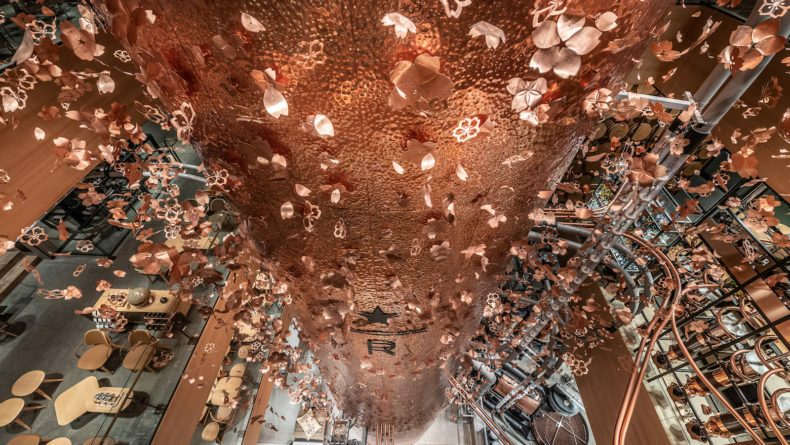 While in the neighborhood: Stop by at the newly opened Starbucks Reserve Roastery, the world’s largest Starbucks to date. 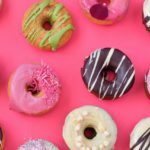 It has four spacious floors of great coffee, amazing pastries and even a bar. Just steps from Ueno station, this park is filled with some 800 sakura trees, and when the blossoms reach full bloom it’s like walking under a canopy of sakura-filled clouds and cherry blossom snow. This spot rightfully draws a huge crowd of revelers and has many yatai, or food stalls, in the area, so bring your appetite. Stay into the evening as the flowers are lit up by the soft glow of lanterns. 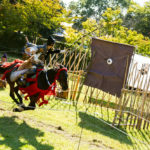 While in the neighborhood: See Japan’s cutest pandas at Ueno Zoo or enjoy the currently ongoing Lineage of Eccentrics: The Miraculous World of Edo Painting exhibition at the Tokyo Metropolitan Art Museum. Close to Asakusa station and the area’s famous temple, the Sumida River cuts a swath through Tokyo’s historic shitamachi (old downtown) neighborhoods. 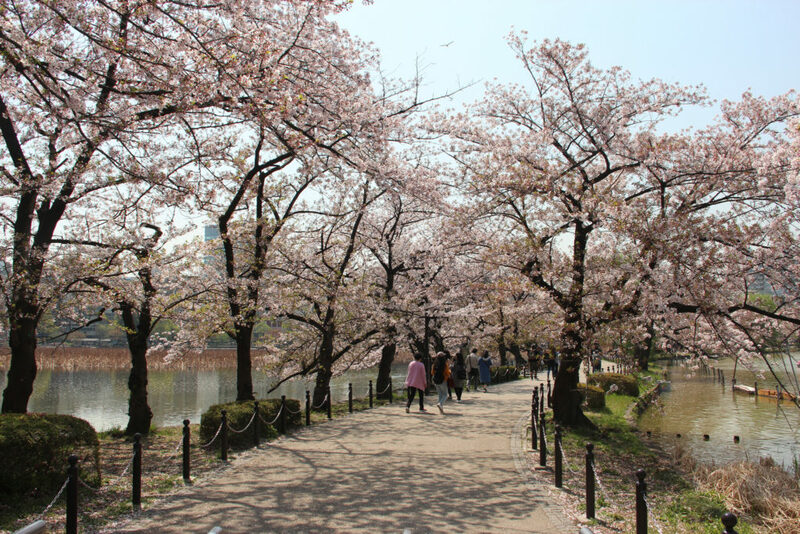 A walk along the banks is a perfect way to see the sakura trees lining the riverside. Taking the water bus along the river is a popular viewing activity, too, but be warned that it gets crowded, so make sure to book your ride in advance. On the other side of the river, at Sumida Park, you can find yakatabune, or traditional floating restaurants. 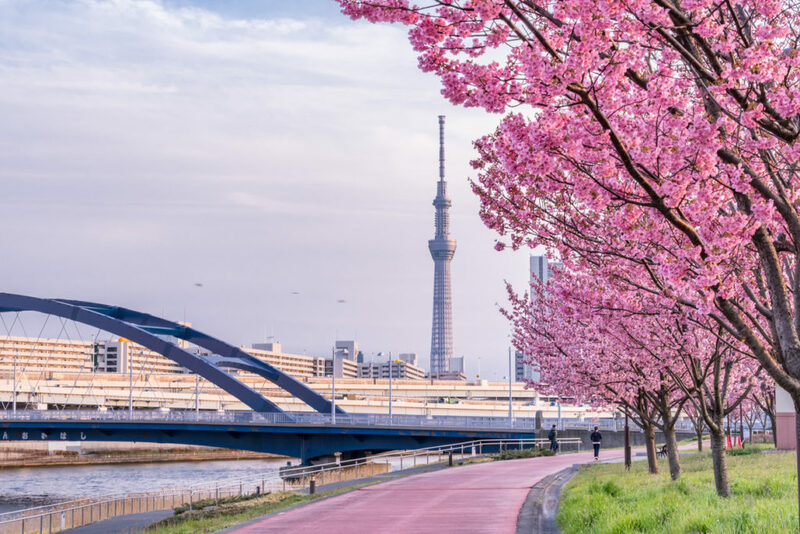 Enjoy the spectacular view of more than 960 cherry trees blooming along the Sumida River, with Tokyo Skytree in the background. While in the neighborhood: Shop at Tokyo Skytree’s Solamachi or go to the tower’s observatory for a spectacular bird-eye view of the cherry trees. A quintessential, traditional Edo period Japanese garden, Rikugien is also a splendid sakura viewing spot each spring. 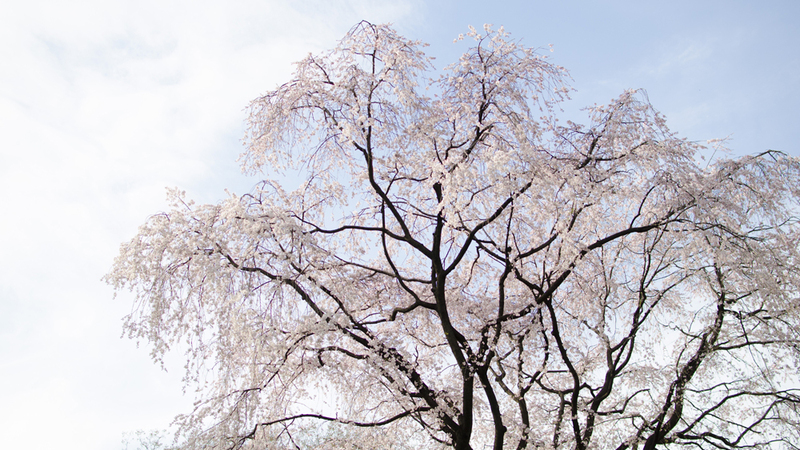 Its symbol, a 15-meter-high and 20-meter-wide weeping cherry tree, greets visitors to the park as soon as they enter through the main gate. Though this garden doesn’t allow wild hanami parties, the evening light-up starting from late March creates a magical and romantic sakura viewing experience. Admission costs ¥300 per person. While in the neighborhood: Enjoy a slow day of shopping and retro coffee and dining along Sugamo‘s Jizo-dori street. 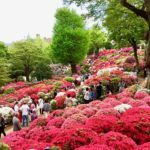 One of the largest parks in western Tokyo, Showa Kinen Park turns into an endless carpet of various flowers in spring—in addition to its 1,500 flowering cherry trees that make the park look as if it’s covered by a pink sky. Showa Kinen Park also hosts its splendid annual flower festival from March 23 through May 26. A beautiful venue whether you’re visiting as a family, a couple, or even on your own. Admission costs ¥410 per person. While in the neighborhood: Enjoy shopping at Ikea Tachikawa or LalaPort Tachikawa Tachihi, a giant department store with over 250 shops. 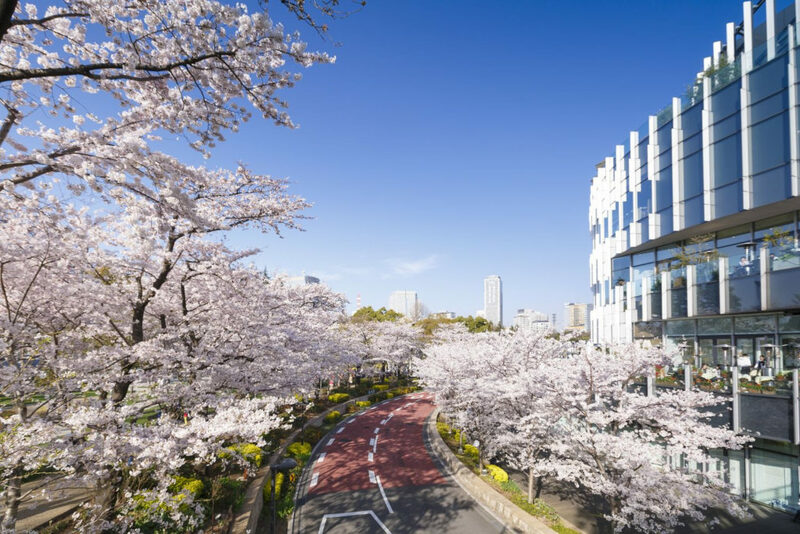 Sakura in the heart of the city is a dream come true for the area’s tireless cadre of office workers. 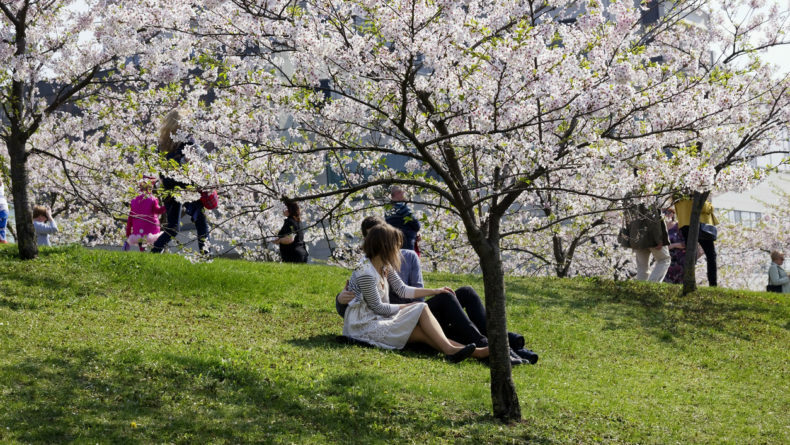 During the cherry blossom season, Tokyo Midtown holds its annual “Midtown Blossom,” a wide range of hanami events with food, drinks, sweets and crafts. Take yourself out for a drink and some sakura-inspired nibbles at the outdoor Chandon Blossom Lounge (March 15-April 14) under Midtown’s 150 trees, which are lit up from 5 p.m. until 11 p.m. This is the perfect venue for an after-work or late-night yozakura rendezvous. Hanami doesn’t always have to be peaceful or romantic. 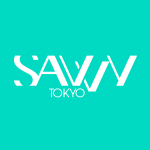 If you’re after something a little more energetic, head to Yoyogi Park in Shibuya. At this time of the year, the park is filled with friends, college students and colleagues reveling in food and drink as they sit on ubiquitous blue tarps. The crowd is bustling and boisterous, invigorated by people playing silly and outlandish drinking games. 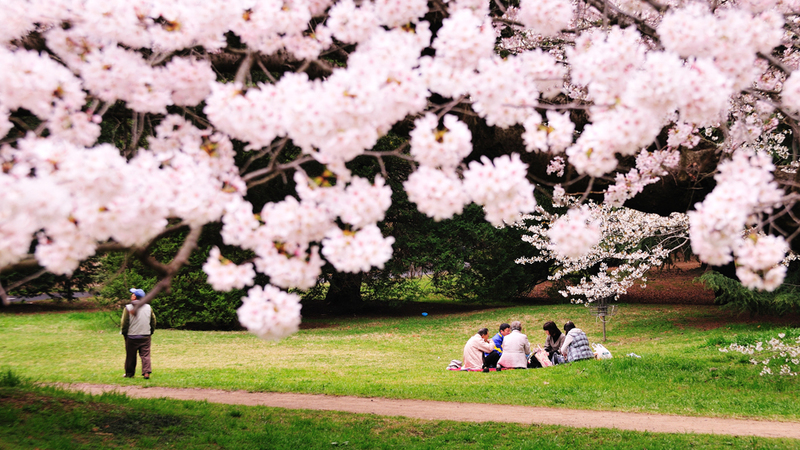 A great spot to let loose with friends under the blooming sakura. With flowers reflecting in the water and sakura petals drifting away as the end of the season approaches, Chidorigafuchi is one of the most picturesque cherry blossom sites in the capital. 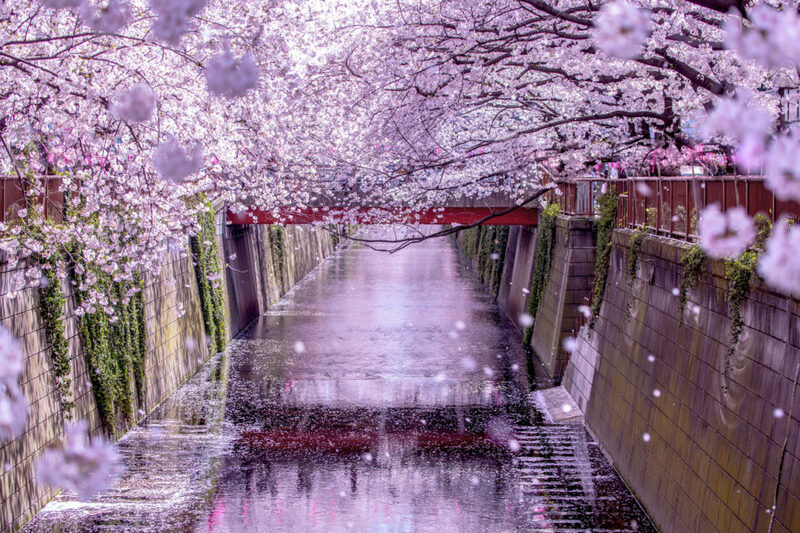 Chidorigafachi is a moat located in the northwest of the Imperial Palace, and the park surrounding it has some 260 cherry trees of different species and colors, blooming along a 700-meter-long pedestrian path. 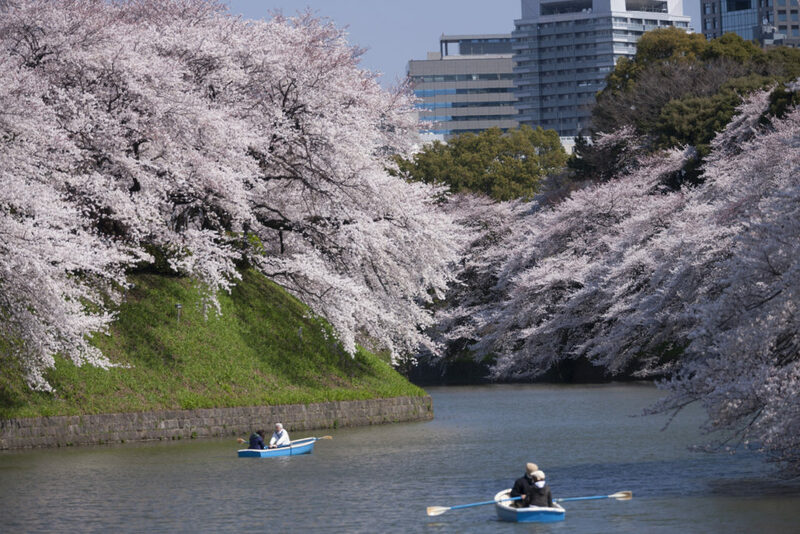 Rowboats are available for those who want to take their sakura viewing experience to an even more romantic level. Lit up in the evening, this seemingly endless tunnel of pink flowers, a night sky and warm spring breeze creates a truly unforgettable experience. 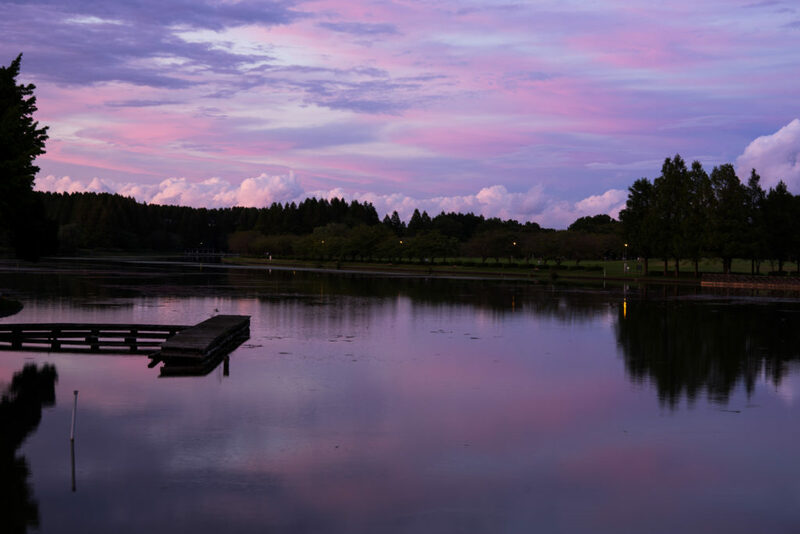 Despite being the largest public park in Tokyo, Mizumoto Park in Katsushika Ward still remains relatively unknown among people living outside the area. But with an area of some 960,000 square meters, this place is one of the most beautiful and family-friendly parks to visit in the capital where you can barbecue, picnic, fish, play all day long or just have a pleasant stroll around. It is especially beautiful in spring when its hundreds of cherry trees are in full bloom, inviting you for a wonderful day out in nature. 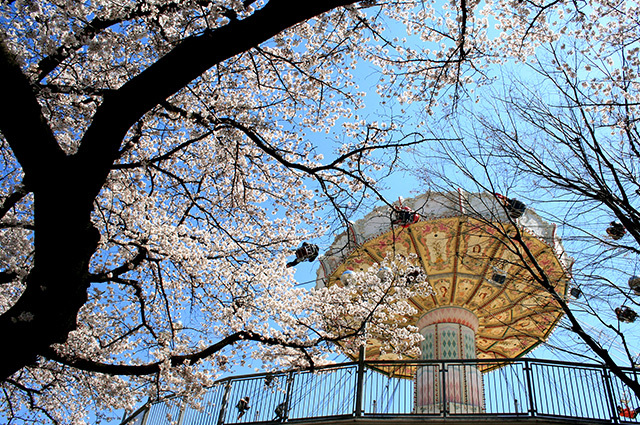 This hanami season, get out of your comfort zone and visit this place — it won’t disappoint! © Photo by TOSHIMAEN Co.,LTD. While it’s a great experience to enjoy the blossoms as you’re relaxing on your tarp under the trees, the feeling of watching the blooming flowers from the vantage point of a rollercoaster or other exciting attractions is an entirely different hanami experience. Toshimaen, one of Tokyo’s oldest amusement parks, is a great place to do exactly this. Get on the Eagle, which rises 35 meters above ground, or the Mini Cyclone, a rollercoaster popular with kids, and see the over 500 blooming trees unveil before you as you ride. It’s an amazing feeling! At night, the cherry trees are illuminated, adding a more romantic touch to the experience. While in the neighborhood: See a movie at United Cinemas Toshimaen or enjoy a hot spring date at Toshimaen Niwa-no-yu. For more recommendations in the area, see our complete guide to Nerima here. 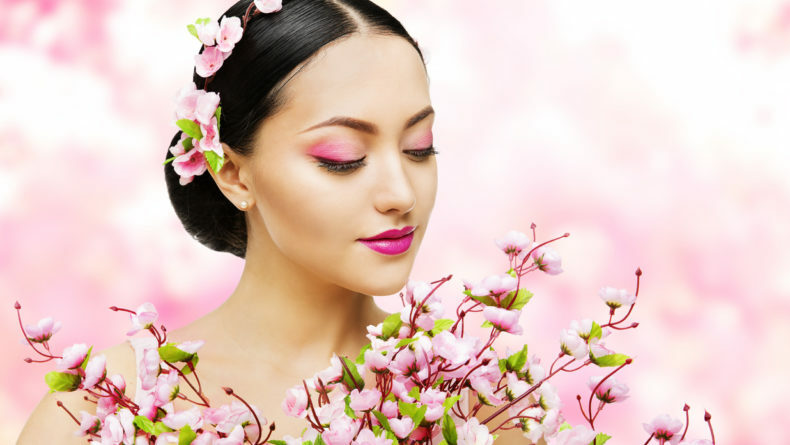 Have a wonderful hanami experience!